This is a great piece I enjoy everything about it. 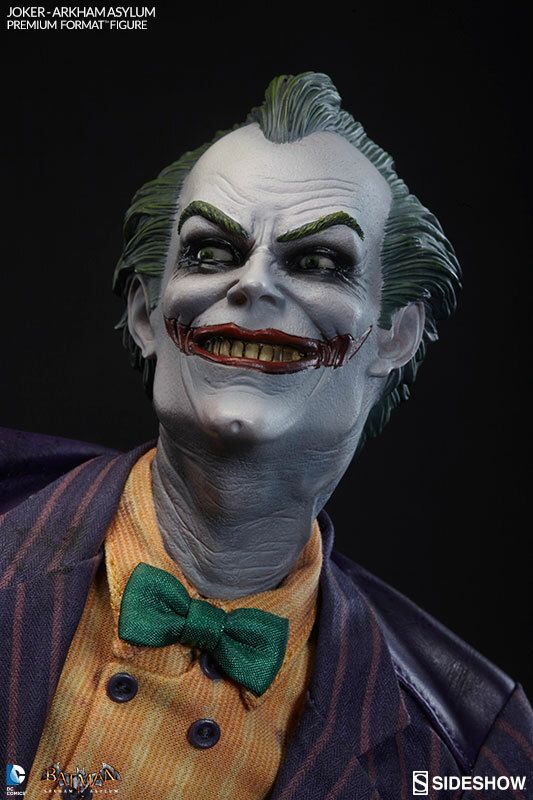 The head sculpt is spot on from the video as is his suit which is tailored to perfection even the base adds to the overall feel to this statue. 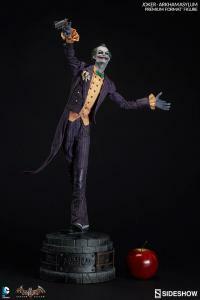 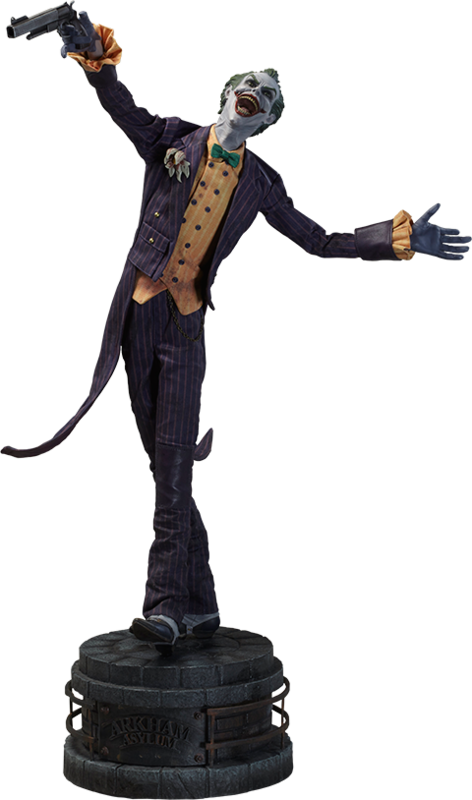 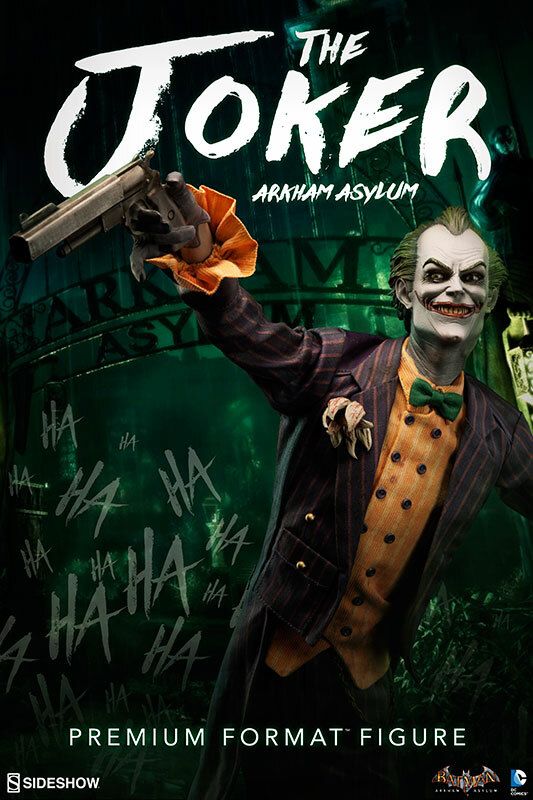 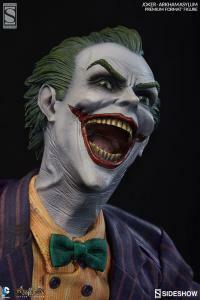 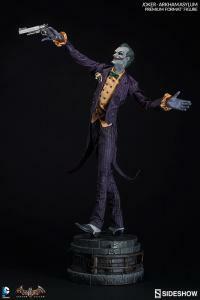 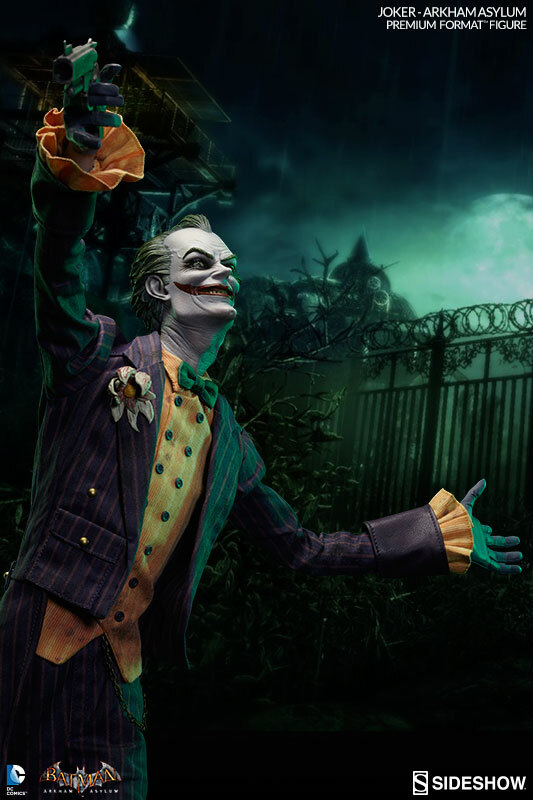 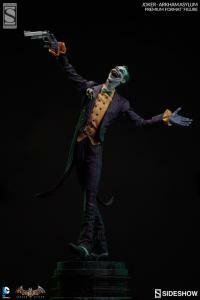 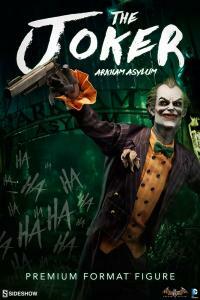 This is a must have for any Batman/Joker collector. 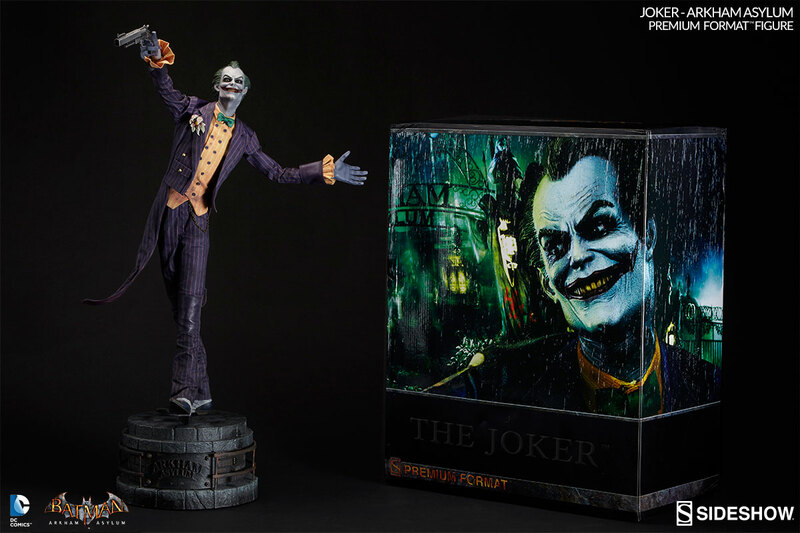 This Premium Format Statue is stunning. The waxed cotton tailored suit is well done. 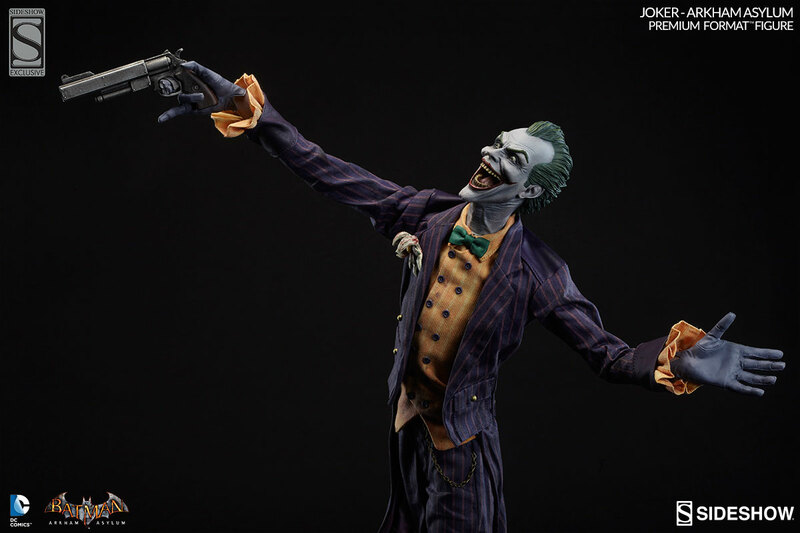 The pose is great. 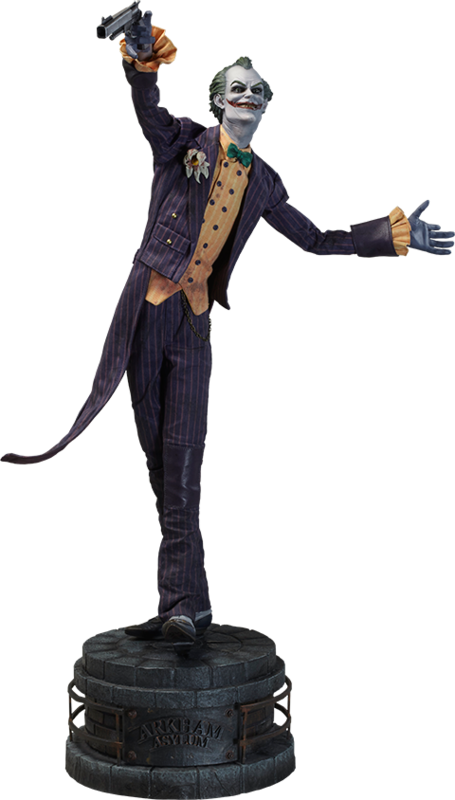 And considering all the tailored cloth pieces the retail price is a great value. 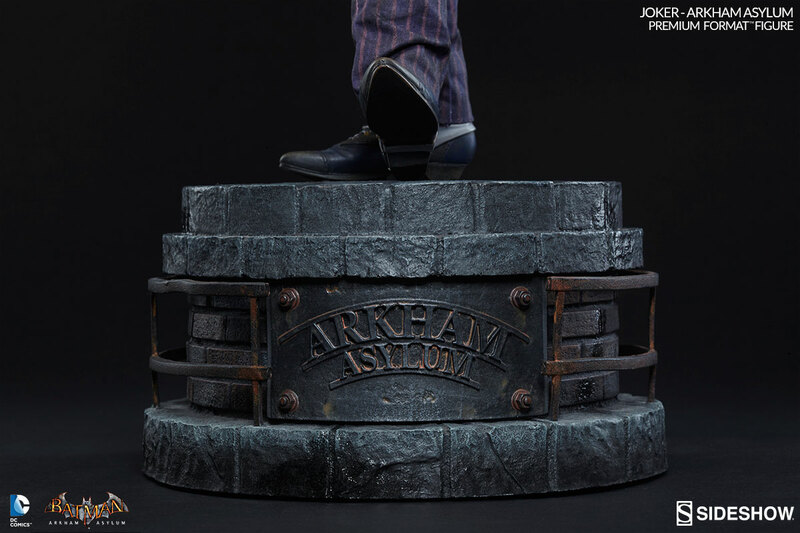 I can't wait for my Arkham Batman to get here. 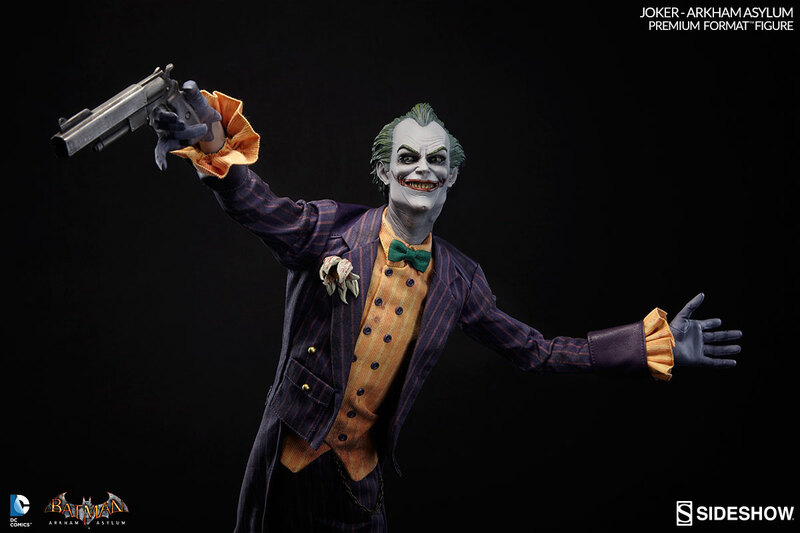 This statue was my second one from sideshow and it got me hooked... sideshow is turning art into addiction ... simply WOW !!! i pre-ordered one of the original 1000 they produced(i believe it was special edition or somthing), so glad i did, this is an absolutely amazing piece with great detail! 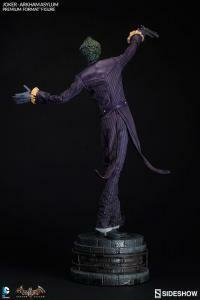 the crown jewel to my collection of figures and statues, love it!!! 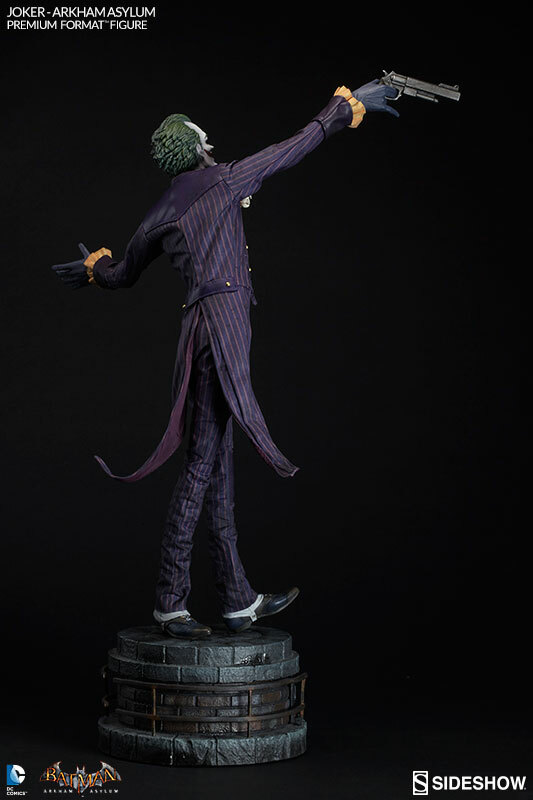 This is my 5th premium format figure, but second Joker. 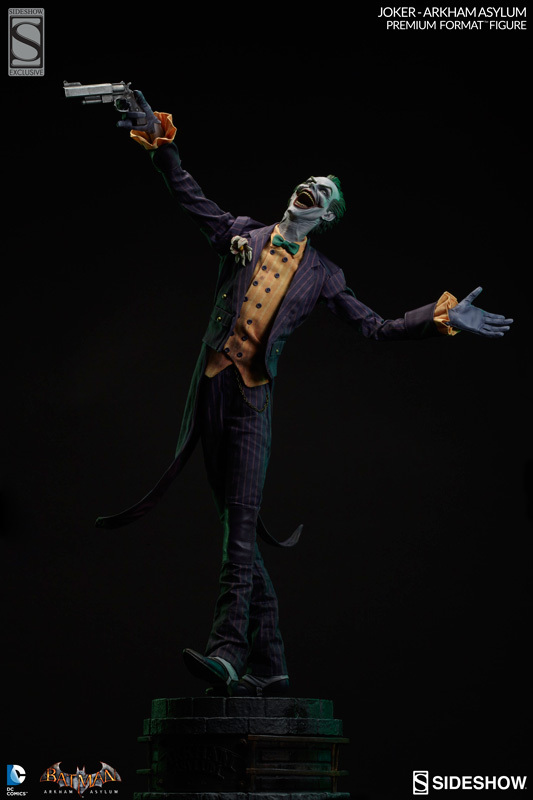 I couldn't predict that this statue would be such a Brilliant Statue. 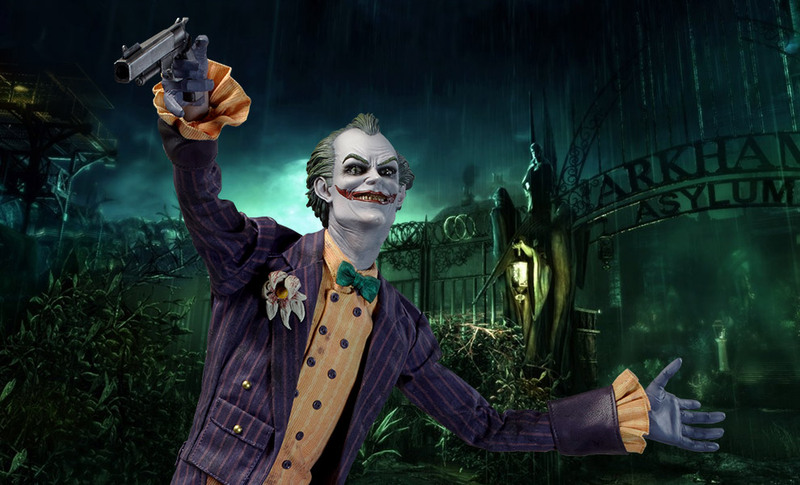 Honestly, his sadistic smile welcomes you to the Mad House! 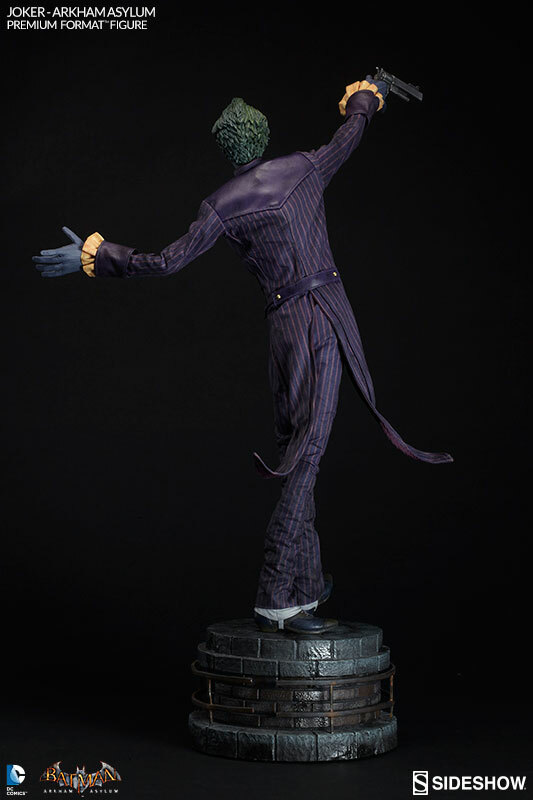 Very well done Sideshow! 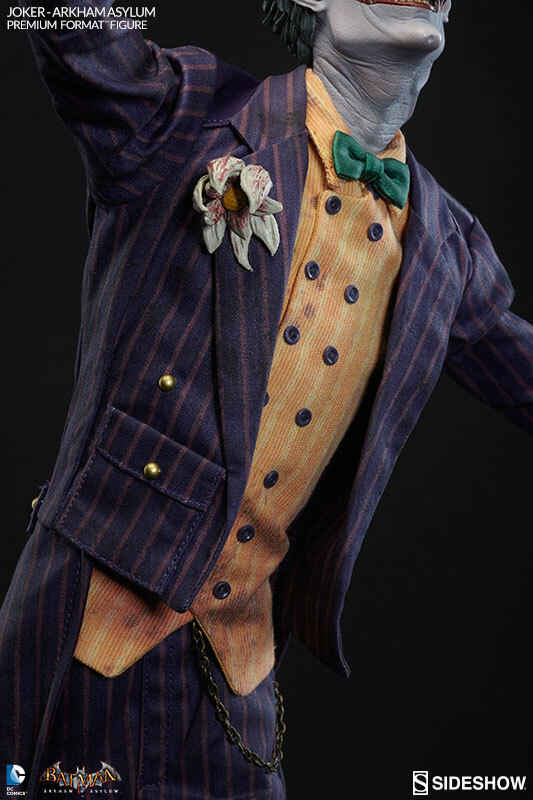 Keep em coming! !